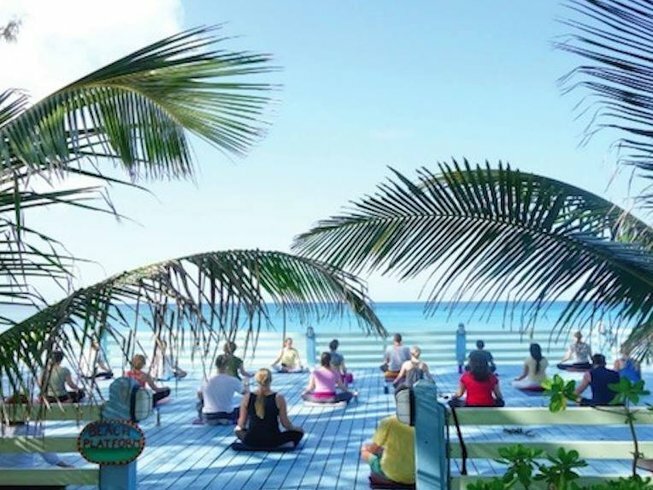 Join Teresa Kay-Aba Kennedy at Sivananda Ashram in the Bahamas where she will be moderating two programs and assisting in yoga workshops with 100-year-old yoga master Tao Porchon-Lynch. As Tao’s biographer and student, Terri lends her media expertise and travels the globe with Tao to amplify her light. Tao shares her century-long, soulful odyssey and demonstrates her unique ability to overcome the effects of aging by controlling the body and mind in accordance with yogic principles. Be enthralled by Tao’s life and learn the fundamentals of her approach to heal, renew, and revitalize your body. Come kick off her 100th year on Paradise Island with a special puja in her honor.